I've had a really lovely week around some crafty makes meeting and catching up with friends. Who'd have thought I'd become a lady that lunches lol!!! This week sees the start of Graphic 45's Hand Made Gift Guide. The design team and Ambassadors have been busy crafting away and are sharing their ideas and How to Make guides over on the G45 Blog. If you're after some crafty inspiration keep calling by. The event is running for four weeks right up to Christmas. 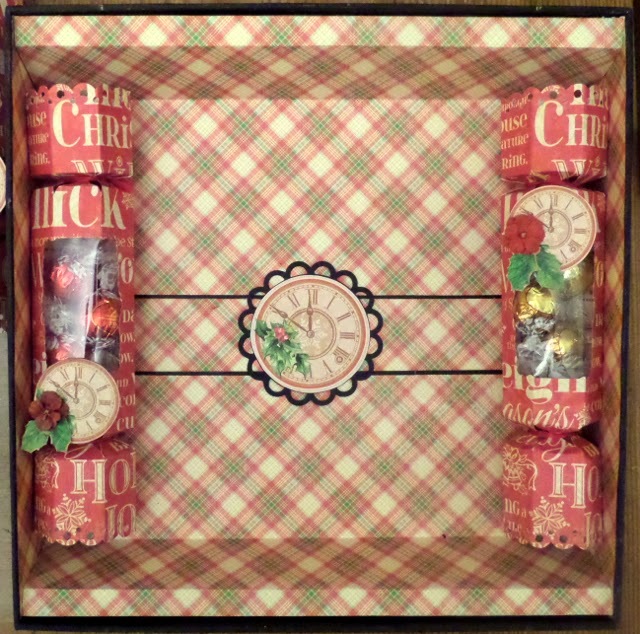 I'm really excited to be sharing my Box of Crackers on their blog today. The 12 x 12 Matchbook Box was a perfect size to fit the six crackers. 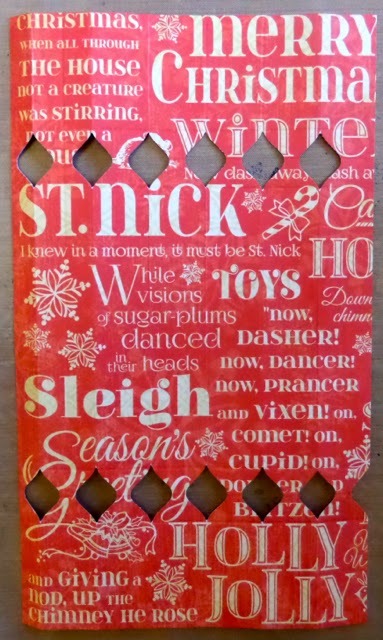 I used the greybeard packaging from the box wrapping to make the inserts that hold the crackers in place. Each cracker was made from one sheet of Merry Mistletoe 12 x 12 paper, shaped using the Envelope Punch Board and decorated with cut outs from Jolly Old Elf 12 x 12 paper and Petaloo flowers. They're all filled with Milk and White chocolate Lindor balls. Yum Yum !!! 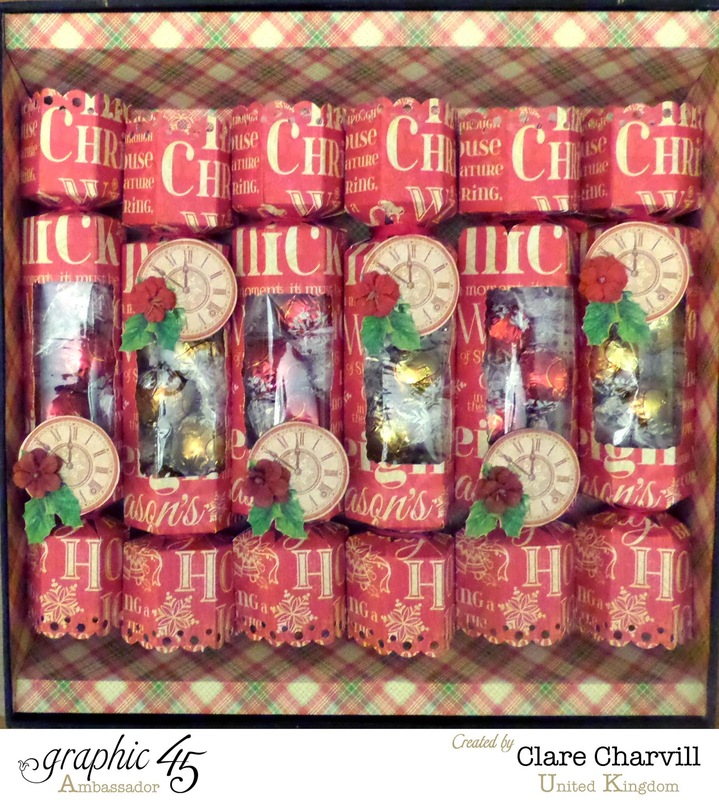 If you'd like to make you're own box of crackers click here to go over to the Graphic 45 blog for the full How to Make guide and more projects and guides from the DT too. . I'm donating this gift to help raise money for Zoes's Place Baby Hospice at a Charity event being held in Coventry later this month. 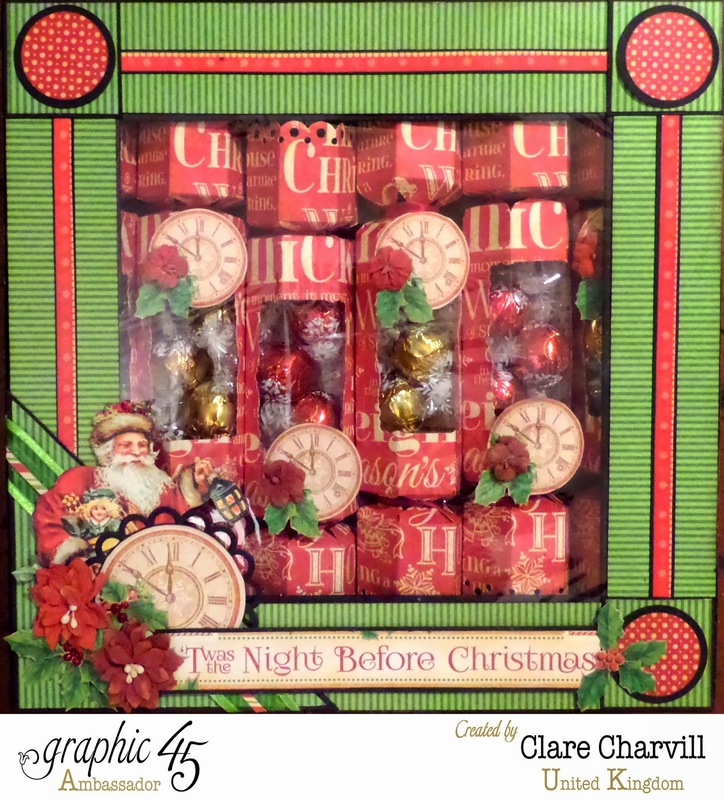 This is fabulous Clare, love the papers and loving the chocolates too. This is fabulous! 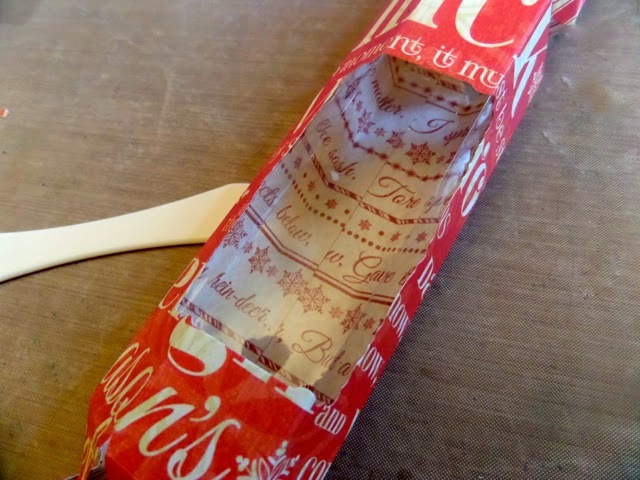 I would love pulling these crackers on Christmas Day...but only very carefully to get at the chocolates without destroying the gorgeous crackers. Love this idea Clare and delighted about your chosen charity as my friend's little boy spent a lot of time there during his short life. Have a great Christmas. Hi Clare, This box of crackers is magnificent, and the contents do look really yummy. What a fabulous idea of donating it to the Charity, they will be thrilled. I'm going to head over now to see how you made it. Take care. I'm not well at the moment, I am having balance problems, a horrid feeling. Afternoon Clare, Love this project. I spotted it on the Graphic 45 blog and will be taking note of the instructions, although I doubt if I'll have time this year - so maybe a project for next Christmas. Thanks for sharing and hope you enjoy the rest of your day. Aaah at long last a new video from you Miss Clare. 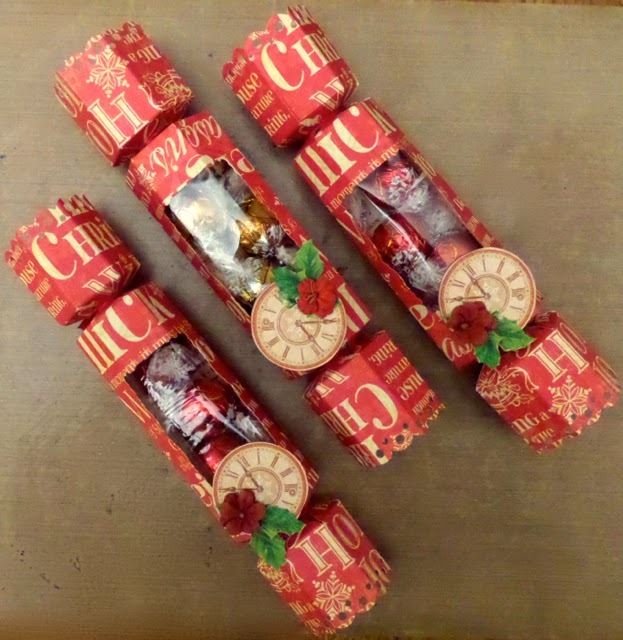 Love love love the Christmas Album, very pretty and I love these Christmas Crackers as well. Thank you for all that you share and do for us!! I wish you the very best Christmas and a very successful new year! !